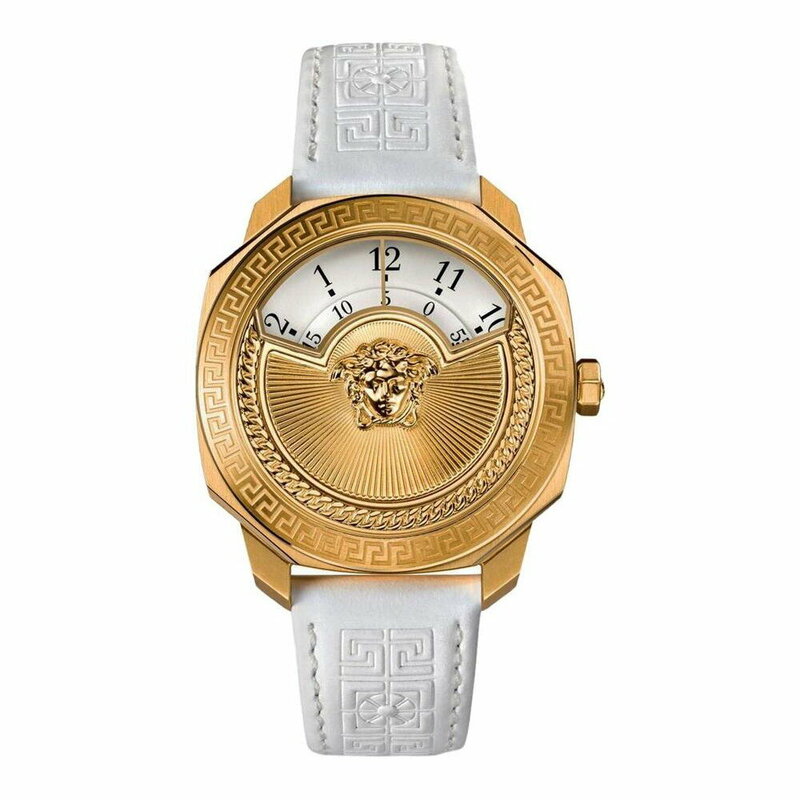 Versace Gold tone ion plated stainless steel case with white leather strap, fixed gold-plated bezel and white rotating disc dial with gold-tone hands and Arabic numeral hour markers. Scratch resistant sapphire crystal. Case size: 38 mm. Case thickness: 10 mm. Band width: 19 mm. Water resistant at 50 meters / 165 feet. SWISS MADE.